Hitachi’s investment in Silver Spring adds up to $30 million, according to filings. UPDATE: Hitachi has invested $30 million in smart grid networking startup Silver Spring Networks, according to an SEC filing. Hitachi and Silver Spring announced a strategic alliance last week, centered on “integrated solutions to power utilities and power users in the global smart grid sector.” As part of the deal, Hitachi said it would acquire convertible bonds with stock acquisitions rights that IPO candidate Silver Spring will issue. With this latest filing, we now have a sense of the scale of Hitachi's financial commitment to the Redwood City, Calif.-based startup. The investment brings Silver Spring's total investment to date to just over $300 million. It's just the latest in a string of announcements for SIlver Spring in the past few months, including new projects with Commonwealth Edison and Progress Energy, a new set of cellular communications capabilities to augment its wireless mesh technology, and a $24 million investment and strategic partnership with EMC for managing smart grid data. But Silver Spring still hasn't said when it will pull the trigger on its plans to raise up to $150 million in an IPO. Silver Spring filed its S-1 in July 2011, but it’s likely that poor market conditions and economic uncertainty have stayed its hand in taking the company public. Hitachi didn’t specify a monetary value attached to its Thursday deal with Silver Spring, which has raised about $275 million in venture capital. But Hitachi’s partnership should help Silver Spring expand its smart grid footprint beyond the set of large-scale smart meter deployments that now make up the majority of its revenue. For a taste of what the two could do together, look to the joint U.S.-Japanese smart grid project underway on the Hawaiian island of Maui. 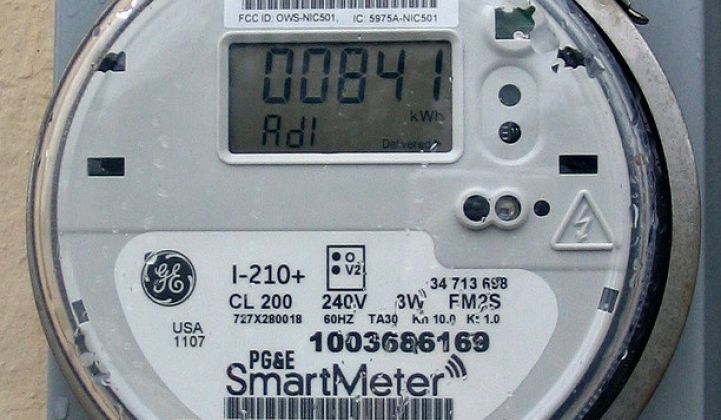 Silver Spring has been working on connecting home energy management devices to smart meter networks, with the potential of adding rooftop solar panel inverters, energy storage systems and distribution grid sensors to its management platform. Hitachi has been the project lead since its start last year, and has been focusing on an energy management system and distribution management system to help the island’s grid integrate an increasing amount of intermittent wind and solar power into its mix. It’s also working on a plug-in electric vehicle charging system that can help balance Maui’s entire power generation mix against EV charging needs. Thursday’s deal would “strengthen and expand” that work, the two companies said, though they didn't specify just where, or in what smart grid sectors, they intended to launch new integrated products or services. The two also pledged to take on new research and development projects. Hitachi also highlighted its “Social Innovation Business,” a business line that centers on bringing IT and telecommunications connectivity to “social infrastructure.” That sounds a bit like IBM’s smarter planet initiatives, or the smart city projects underway by companies such as Cisco -- though it’s also vague enough to leave lots of room for interpretation. There’s also room for speculation as to whether Hitachi’s new partnership could lead to an even closer marriage between the two parties. The Japanese government announced on Thursday that it would assist Sony and Toshiba in financing recent overseas acquisitions -- which would presumably include Toshiba’s $2.3 billion purchase of smart meter giant Landis+Gyr last year. Could Hitachi be eyeing Silver Spring as an acquisition target as well?